Business hours: Business hours: 7.00am-10.00pm, every day. THE Coffee+More café on the North-South Expressway, or PLUS highway, offers travellers, as its name suggests, more than just caffeinated drinks. With seven main dishes to choose from and unique kuihs on the side, the cafe is an oasis for the tired and hungry. 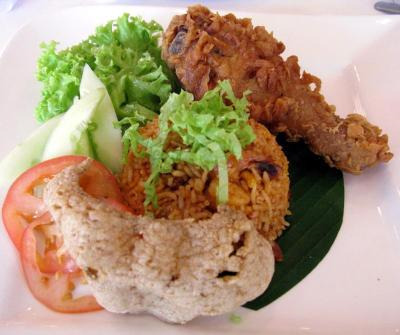 Catchy name:Toot-Toot Chicken Rice, the cafe’ssignature dish. The café, which used to be known as Shalala, was rebranded with a new identity by owners, SMTC Highway Mart Sdn Bhd. This northbound restaurant on the Seremban-KL route was the first to be set up, starting operations in October last year. To get our palates excited, Chef Abdullah Mamat, who has more than 35 years of experience in the culinary business, introduced the cafe’s signature dish, his own creation called Toot-Toot Chicken Rice which he developed during his stint in Thailand. “I tried using different herbs and sauces to give it a unique flavour. The idea for the name was derived from the famous mode of transport in Thailand (tuk-tuk). The dish can easily be remembered even by children,” said Abdullah. He said the herbs used to prepare the dish were only found in Thailand. The Good Old Mee Rebus was named such due to its special recipe, used from the day the café started operations. Abdullah said he had given a twist to the mee rebus recipe and the newer version called Mee Rebus 2.0 offered a lamb shank alongside for customers who prefer something different. The Nasi Briyani is also a must-try as this fragrant and fluffy rice (Pakistani long grain) is served with tasty dhal and crispy papadum and will make anyone croon for more. Thinking of coffee to go along with your meal – then ask for the Arabica coffee that consists of a combination of Brazilian Santos and roasted Papua New Guinea coffee beans. 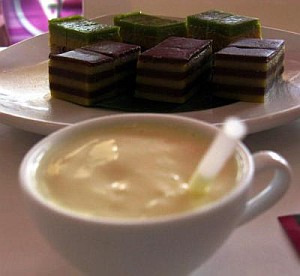 Sweet treats: Durian Chillers (foreground) and Kuih Warisan delicacies —Serimuka Kedah (green top) and Kuih Lapis Koko are favourities with families. “However, the favourites are the usual coffee drinks like cappuccino and vanilla latte because it can freshen up a tired and sleepy driver after a long distance drive,” said SMTC business development manager Zuhairi Alias. He added that to be competitive in the food and beverage industry, specialty coffee was necessary and it immediately became the company’s core product of choice. 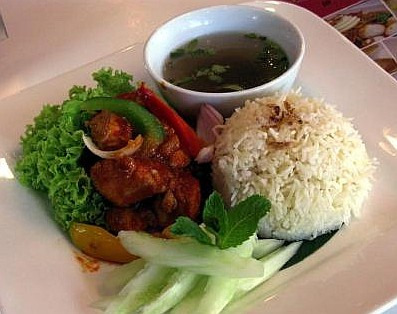 Another cafe attraction is the Super-Crispy Chicken and Black Pepper Chicken served with rice. 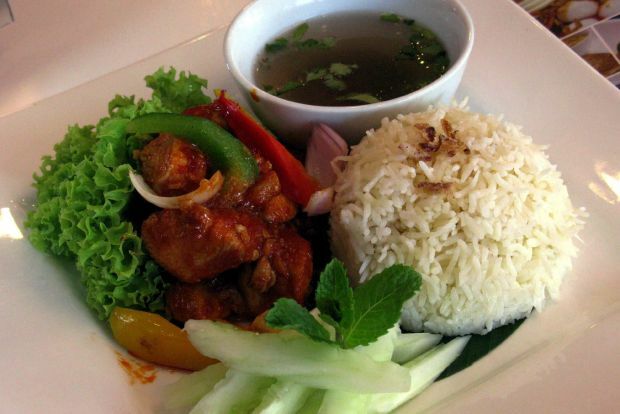 The crunchy chicken is served with rice while the black pepper chicken cooked with in-house herbs and sauce is meant to give customers a different dining experience. Then there is the Rojak Pasembor, a very popular snack in Penang and comes highly recommended. The Mamak Fried Mee is a very famous alternative to the usual Fried Mee and Daging Masak Hitam is best enjoyed with plain or briyani rice cooked with specially selected spices. And no meal is complete without Coffee+More’s homegrown varieties of pastries and desserts (old-time favourites and new trends) in their Kuih Warisan menu such as Seri Muka Durian, made using durian pulp. This latest creation is fast gaining popularity, as are all Kuih Warisan products, which include Seri Muka Kedah and Kuih Lapis Koko. Abdullah said customers should not leave without trying the Durian Chillers and Power Fruit Chillers — a blend of durian or power fruit containing the famous Sky Fruit (Tunjuk Langit) and it is known to revitalise and rejuvenate the skin cells. At Coffee + More , customers can relax in a cosy atmosphere. It can accommodate 60 people at a time and comes with free WiFi.